PRAYER PROMPT ••• Have you ever had a favorite wool sweater? It was soft and warm and then… someone else did the laundry. The sweater shrank and became a single piece of felt rather than the knitted strands of soft wool. This happens when wool is agitated. You don’t have to wait for a laundry mishap for it to happen. If you held that sweater in your hand and repeatedly rubbed the same place over and over, you’d eventually get the same results. That’s because the wool of a sheep has scales. As those fibers are manipulated, the scales open up and begin to interlock with each other to create a strong piece of fabric that cannot unravel. While I don’t work with fiber the way I used to, I can knit, spin, and felt and felting is an interesting process and can be done a variety of ways, including with water and soap, or even with a needle. This will sound weird, but in my imagination, I view the felting process as the wool strands giving a big group hug to their friends. And don’t you feel stronger when your friends support you? When we connect with others, and we have the blessing of friends who uplift and encourage us, we too become strong and united. The church needs a strong, united body of believers. It benefits everyone. Our fellow Christians encourage us to be stronger in our faith and through fellowship, we can work together to help others. Obviously, some situations prevent people from going to church, but if you’re able-bodied, I encourage you to find a church home. Yes, it’s scary to go into environments where you’re the stranger among people who seem to have known each other for years. And yes – you’ll find some churches that need a refresher course in hospitality. My husband and I are fortunate to go to a great church, full of friendly and encouraging people. A motto of our church is “We welcome you,” and I think whoever came up with that simple church-wide recognition for guests and new members showed brilliant discernment. It’s three simple words, but the reinforcement has created an open, inviting space, full of imperfect people who want to love a perfect God. 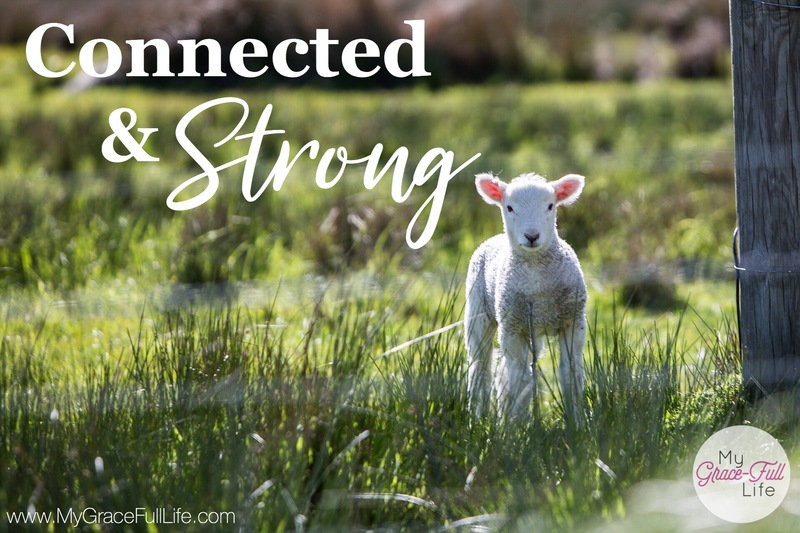 Being joined together – like the scales on a strand of wool, opening up to invite our brothers and sisters in Christ in, to be stronger together as one church body. Today, as you pray, if you need a church home, pray that God will lead you to a place where you can be encouraged and encourage others. If you have a church, pray your church will be a warm, welcoming place for others to join and grow in Christ. “It’s three simple words, but the reinforcement has created an open, inviting space, full of imperfect people who want to love a perfect God. ” Amen.